Found in 2001, Glu Mobile is a leading global developer and publisher of free-to-play games for smartphone and tablet devices. The company makes extensive use of Google Play games services across its portfolio: in Eternity Warriors 3 this includes sign-in, leaderboards, achievements, and multiplayer games features. To help drive installs and player engagement, Glu added games gifts to Eternity Warriors 3. They made this new feature accessible from the home screen, providing it exposure by grouping it with similar “freebies” options. In addition, so not to interrupt the in-game experience, they implemented an automatic transition back to the gifting screen after sending requests. sent push notifications to users telling them about the gifting feature. showed a full screen in-game screen promoting the gifting feature. ran promos during promo events. 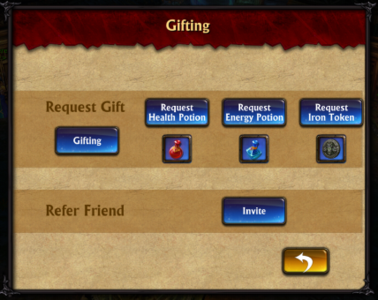 Glu went a step further by integrating friends invites into the gifts UI, with the option easily accessible in the Gifting screen. Glu found that the gifting feature has a very high response rate and the gift requests’ fulfillment rate doubled within 30 days of the feature’s launch. Also these rates continued to increase over time among Eternity Warriors 3 players. Find out how to add game gifts to your games and discover more about using Google Play games services in your games to increase player engagement and revenues.